As part of the First Havana Design Biennial, academics, researchers and designers are gathering in their first international congress at local Conventions Hall. A key-note lecture by the president of the National Design Office Gisela Herrero is scheduled to open the Congress whose slogan is Design and Prosperity, which marks the route of the current Biennial underway since May 14. Wednesday´s agenda also includes a presentation on the re-design of Granma newspaper, discussions on visual communication, the packaging systems at the Cuban pharmaceutical industry and the participation of Cuban designers in the emerging self-employment sector. Along with Cuban experts, designers from Uruguay, Costa Rica, Argentina, Colombia, Brazil and Mexico will give presentations. 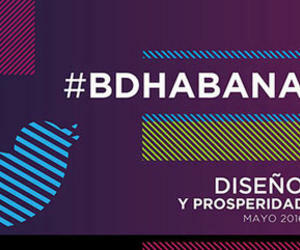 The Havana Design Biennial runs till May 20 with the participation of over 800 experts interested in sharing their projects in different design modalities included in the international event. After Havana, the forum will travel to the eastern cities of Santiago de Cuba and Camaguey, where participants will consider the contribution of design to the local social life.